What is the best teaching method for learning English? 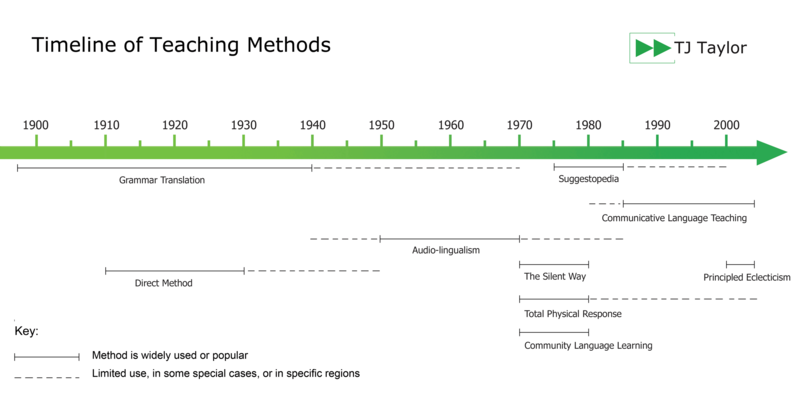 According to academic research, linguists have demonstrated that there is not one single best method for everyone in all contexts, and that no one teaching method is inherently superior to the others. Also, it is not always possible – or appropriate – to apply the same methodology to all learners, who have different objectives, environments and learning needs. Applying the most appropriate method for that learner’s specific objectives, learning style and context. An experienced professional language teacher always adopts the Principled Eclecticism approach, deciding on the most suitable techniques and applying the most appropriate methodology for that learner’s specific objectives, learning style and context. Methods of teaching English have developed rapidly, especially in the previous 40 years. As a language learner, training manager, or teacher, it is important to understand the various methods and techniques so that you are able to navigate the market, make educated choices, and boost your enjoyment of learning a language. 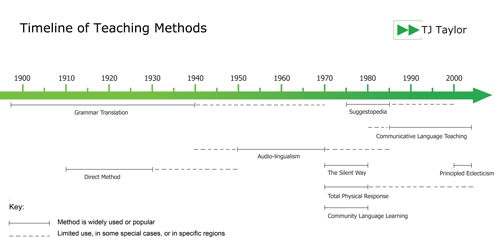 Each teaching method is based on a particular vision of understanding the language or the learning process, often using specific techniques and materials used in a set sequence. Each method has a different focus or priority, so let’s look at what this means in practical terms in the classroom. As mentioned above, the modern language teacher doesn’t follow one rigid method, but applies the Principled Eclecticism approach – fitting the method to the learner, not vice versa. This means choosing the techniques and activities that are appropriate for each particular task, context and learner, with a focus on motivation and helping learners become independent and inspired to learn more. The explanation of Principled Eclecticism also includes a useful ten-point guide for teachers and language students on the best teaching and learning techniques. Get the latest content first. No spam, ever. Unsubscribe at any time.